Teachers often utilize facilitation plans to be proactive, providing proper scaffolding and supports before a student struggles to the point of frustration with a learning objective. 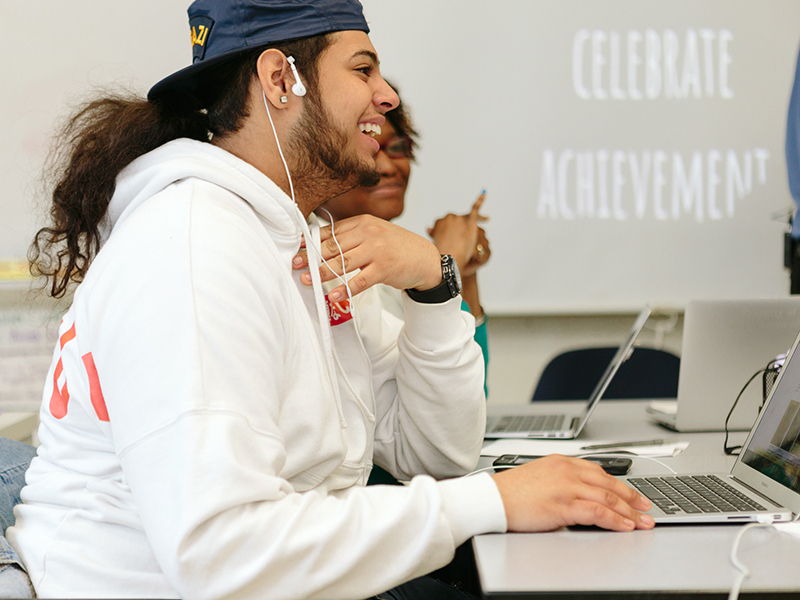 These plans help educators at Bronx Arena work toward their ultimate goal of “right kid, right lesson, right day.” Students are also engaged in achieving these goals because they are empowered to take part in a collaborative conversation through which they can reference data in their tracker to support their specific needs. Facilitation plans also make it easier for generalist teachers to see what all of their students are working on in a giving week, helping them coordinate proper academic supports. Meets weekly with teacher to identify a learning goal, which is populated in a facilitation plan. Meets with teacher as needed to adjust their learning goals and supports, based on progress and needs. Follows structure of facilitation plan throughout the week, meeting with content specialists in the times and places described in the plan. Generalist meets with students to determine their objectives for the week and what supports they will need to meet these objectives. Generalist coordinates supports for each student throughout the week and determines the best times for their small groups or 1:1 time. Generalist creates facilitation plan that includes learning goals and supports for each student, each week. Specialists provide content-specific instructional support. Houses the facilitation plan, a shared digital document to ensure teachers and students are on the same page. Helps identify student progress and needs through the data tracker, which could lead to modifications of the facilitation plan or instructional supports.